Are we “Wired for Story?” A recent blog post by MaryAnn Diorio highlights author Lisa Cron’s research into this fascinating question. The article outlines the brain-story connection and postulates that a strong cognitive response to stories is pre-programmed in our psyches. The implications of this discovery are far-reaching and should inform our teaching in virtually every subject area! 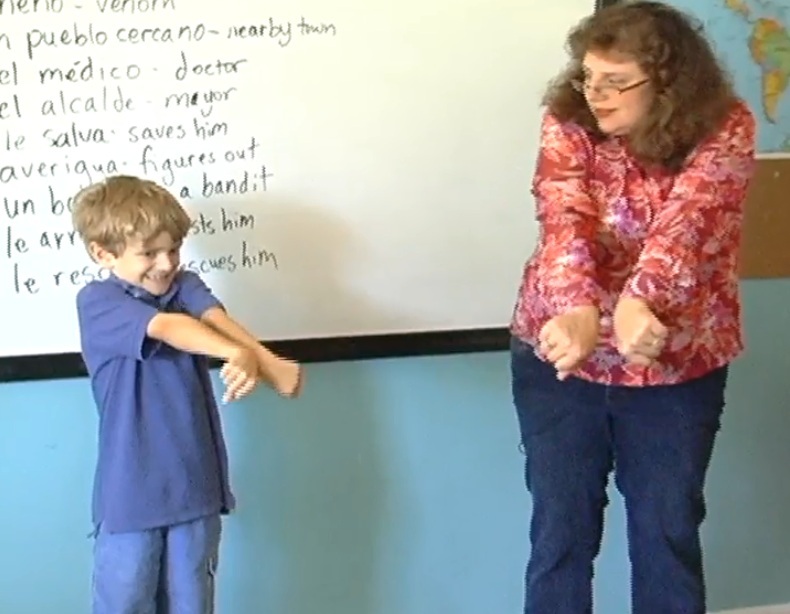 When I first began using Comprehensible Input approaches (including storytelling, dramatization, action sequences, and gestures) to teach Spanish, the students’ performance and euphoria amazed me. I have since observed that many programs and curricula– spanning all kinds of subject areas– owe their success to the power of stories. 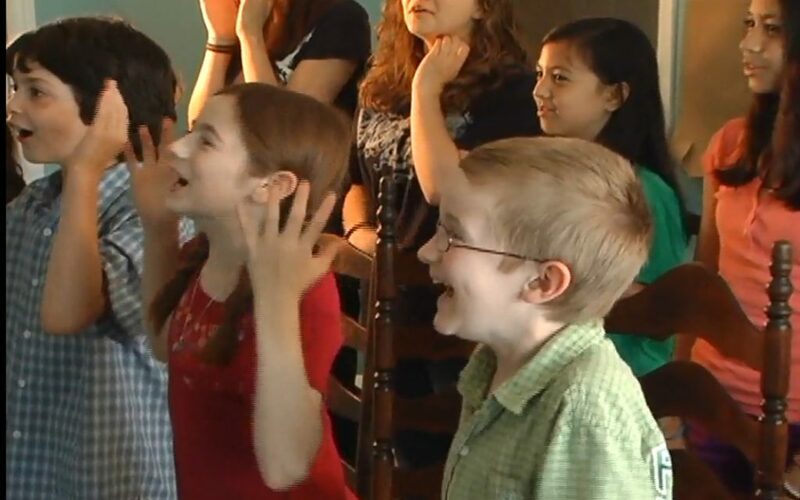 We use several such programs in our own homeschool- Life of Fred, Story of the World, Memorize in Minutes: The Times Tables, I Laid an Egg on Aunt Ruth’s Head, and Themes to Remember, to name a few. Their stories make learning (math, history, grammar, music) so enjoyable and effective! Of course, Ms. Cron’s research aptly reveals how storytelling taps into “cognitive secrets” that explain these programs’ advances. 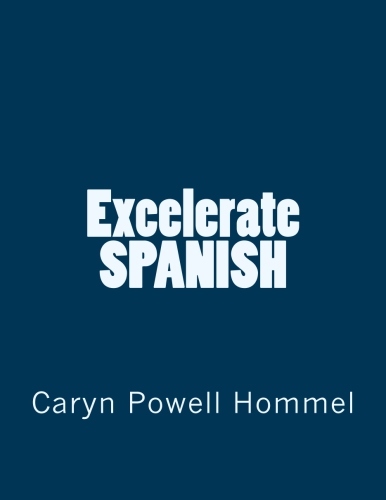 Her observations make perfect sense to me, in light of the response I see from my students during each of our Excelerate SPANISH lessons. The stories and skits are their favorite part, and they help to increase retention like nothing else I’ve ever implemented in the whole of my foreign language teaching career. 1. Since “the brain thinks in stories” and students naturally “[want] to know what will happen next,” students who get caught up in the Excelerate SPANISH stories/skits momentarily forget that: this is all part of a foreign language class, and the words being used to tell the stories are vocabulary words, and the structures used are grammar, and this is supposed to be tedious (or at least, that’s how it generally seems in a foreign language class). Instead, their brains are going: I wonder what he’s going to do about that crazy guy eating his fishing worms! Meanwhile, we’re sneaking tons of Spanish into their unsuspecting brains! 2. Because “the brain is goal-oriented,” students identify with the goal(s) of the protagonist in the stories. When this happens, students are literally buying into the scenarios! That, my friends, is magic. No “drill and kill” approach to teaching Spanish is ever going to compete with that. 3. Due to the way “the brain thinks in specifics,” the gestures that we tie into each story become a useful element of concreteness, aiding students’ comprehension. 4. 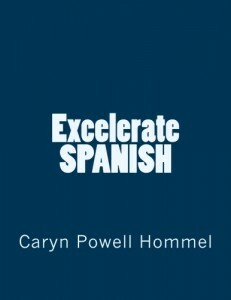 Cron says that “the brain resists change.” In foreign language teacher-speak we call the brain’s subconscious resistance to unfamiliar language the “affective filter.” Excelerate SPANISH stories distract the subconscious brain, keeping students so interested in the stories themselves that the affective filter falls flat. 5. Cron points out the tendency of the brain to “continually [make] cause-and-effect relationships.” Our short, compelling stories and skits make cause-and-effect clear. When the story is clearly understood, the student perceives that he has an excellent grasp of it… and consequently also feels confident of his grasp of the words and structures that convey the story. What a win-win scenario! Thank you, and many blessings to you and your family!